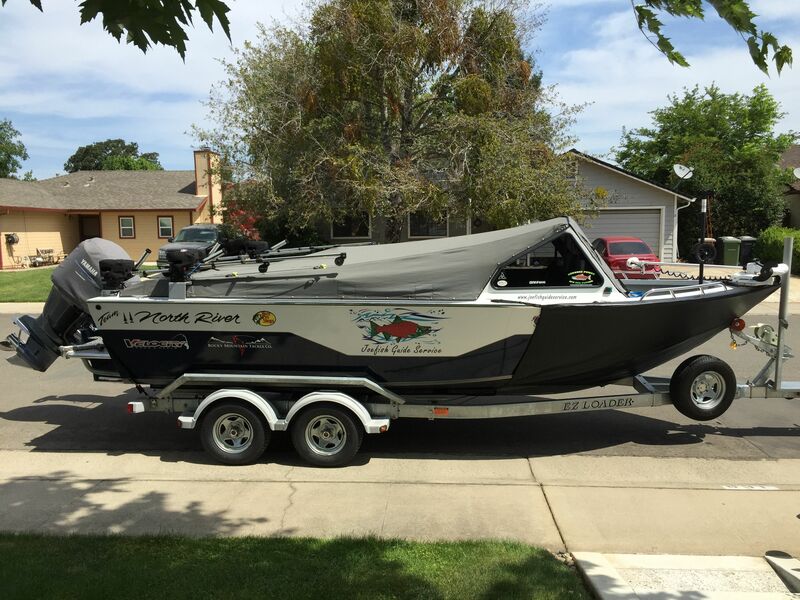 I run a 22' Seahawk fine tuned for fishing perfectly capable of providing you and your family and friends with a spectacular day on the water. Fishing pursuits have long championed this extremely well built Seahawk as the most comfortable, smooth riding, spacious and stable fishing platform in its class. It's powered by a Yamaha 250hp 4-stroke motor which allows me to get to the fishing areas and return quickly and safely. A Yamaha 8hp and Minn Kota electric motors, both with auto pilots are in place for trolling. Electronics include a Furuno 588 digital sounder, a Lowrance LCX38cHD GPS/sounder with topo maps, XM satellite radio, VHF radio. For deep water trolling, 4 Scotty electric downriggers wired thru a Pro-Troll Black Box for positive ion control. Top water fishing, a 7' Riviera mast and planer board system. Full top, side curtains, back drop, and heater are aboard to help keep you comfortable in all weather conditions. Boat safety equipment includes Type I life vests, Type II auto-inflatable suspenders, throwable PFD's, up-to-date first aid and distress kits, and a ship to shore radio. I'm first-aid and CPR certified. Fiberglass and graphite rods by Velocity Fishing International, matched with Velocity reels, a full complement of tackle by Murphys, Rocky Mountain Tackle, Radical Glow, Vance's Tackle, Pro-Troll, Pline and much more. All equipment is provided for you to have the best fishing experience possible. Pictures will be taken and your catch will be cleaned and ready to transport home.